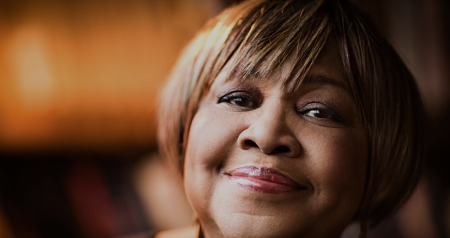 Come and experience the wall-to-wall joy of Grammy winner and Rock and Roll Hall-of-Famer --- and civil activist --- Mavis Staples. A legend in her time, after touring with Bob Dylan last fall is coming back to the tent on Wednesday, August 15th and you'll witness some of the best R&B, soul, and gospel music ever sung. Mavis is likewise known for her unique interpretations of songs by her father, Pops Staples, Randy Newman, Allen Toussaint, John Fogerty, Rev. Gary Davis and Little Milton. This performance is proudly sponsored by Lizabeth Cohen & Herrick Chapman.